Guess How Much I Love You, the timeless and beloved picture book, has come to life on DVD in the U.S. and Canada. 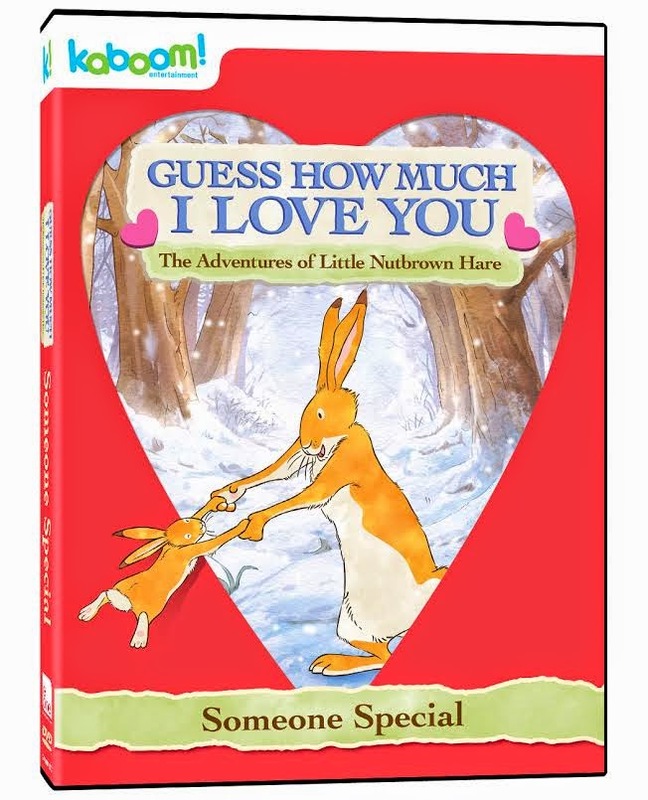 In the new release, titled Guess How Much I Love You – The Adventures of Little Nutbrown Hare – Someone Special, Little Nutbrown Hare and his father Big Nutbrown Hare remind us that there is no greater love than that between a parent and child. The DVD includes 7 heartwarming episodes that we’re certain you and your little Hare will enjoy over and over again! Do you remember the book, Guess How Much I Love You? It's a classic that has now come to DVD in both the U.S. and Canada. I was really excited when I got a chance to watch this DVD with my little ones. Not only was this one of my favorite books to read when I was younger, but I also have this book in our family book shelf. I've read this book to each of my little ones when they were babies, so while watching the DVD with the seven episodes there were times when I did tear up a bit. It's so great when you get to see characters from one of your favorite books come to life on screen. The love between parent and child is like non other and in each of the episodes on this DVD you can see just that, the joyous love between parent and child. I'm excited I get to keep this and watch it over and over again with my little kiddos. Guess How Much I Love You is now out on DVD, so if you have little ones or were a fan of the book, I definitely recommend adding this to your family DVD collection. kaboom! Entertainment and us ladies here at Just Us Girls are excited to offer our Canadian readers a chance at winning both the DVD and the panorama pop book of Guess How Much I Love You. For more information on new releases, giveaways and much more from kaboom! Entertainment, be sure to follow them on both Facebook and Twitter! Disclosure: All opinions are my own. I received Guess How Much I Love You on DVD at no cost for the purpose of this review. No other compensation was received.